The piano was always a magnet to me, even at an early age. 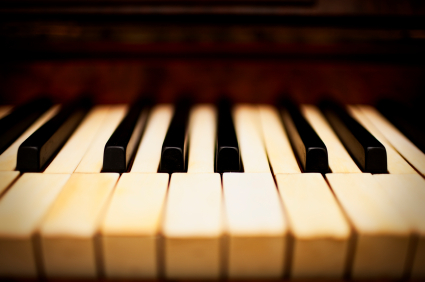 I began piano lessons at almost age five, and by age eleven, I was determined to become a classical pianist. But it was at fourteen—the year I discovered girls—that I left Mozart and Bach to begin writing sappy (and somewhat embarrassing) love songs for my high school sweethearts. By the time I graduated high school, I had decided my life path: I would become an engineer in order to finance my rock n’ roll dream. I enrolled as an aeronautical engineering major at Cal Poly in San Luis Obispo, California, and eventually became a favorite of the local coffee house circuit. I have the distinction of having fellow Cal Poly alum, Weird Al Yankovic, “open” for me at a campus coffee house night. Immediately after graduation, I moved to northern California, working as a rocket engineer by day and playing clubs at night. It was somewhere in the pursuit of my rock and roll dream that I would write music. This was a pretty prolific period for me. I played in an original fusion group called FREEFALL, rocked in a top 40 band called FIXATION, and even interpreted solo jazz standards at a piano bar, all in an effort to gain the hard knocks experience I felt was necessary to make it as a pop artist. I wanted to make good music that moved people. But I also wanted to be famous and wear leather pants and have lots of girls screaming at me. It was a pretty shallow goal, now that I look back at it. And then I had a life-changing encounter with the truth and the person of Jesus Christ. As I look back now, I realize that pretty much all of my music was about me. I think most artists are endowed with a great degree of egocentrism. But when I came to understand God’s grace for me and started to experience Him personally and daily, I really began to understand how selfish I was being with my life. And my music was only a reflection of that selfishness. But understanding His love and grace in my life, I started writing songs that reflected my thankfulness and love back to Him. Slowly, I began to reframe and redefine my life and my music around my new found faith. I began writing worship music and generally began exploring the spiritual underpinnings behind my craft. I started a project recording studio with a friend and began to produce local Christian artists—for free. I formed a Christian jazz fusion group, VESPERS, and we were able to play hundreds of gigs in northern California as well as release three albums which received modest airplay. It was in this group that a theology of art began to form within me. I began to see that we are artists primarily because God is the Creator Artist—and we are made in His image. Art, then, is a means through which we can commune with God, grow spiritually, and reflect His nature. Soon after making a decision to follow Christ, I became part of brand new church in Folsom, California, called Oak Hills. And it was this church that eventually asked me to come on staff as their worship pastor. My wife and I made the decision to leave a lucrative job in aerospace to come on staff in 1990, and I still minister there today. It is really an immense privilege to use the talents and passions God gave me to further His Kingdom, to lead His people in worship and to be a part of growing a community of Christian artists. And if you think about it, God gave me the desire of my heart, to be in a place where I can make good music and move people. And I actually get to do it for a living. Note: Manuel is currently the Creative Arts Pastor for Oak Hills Church in Folsom. He has been happily married to and hopelessly in love with his wife, Debbie, for thirty years, and they have four awesome children living in El Dorado Hills, California.